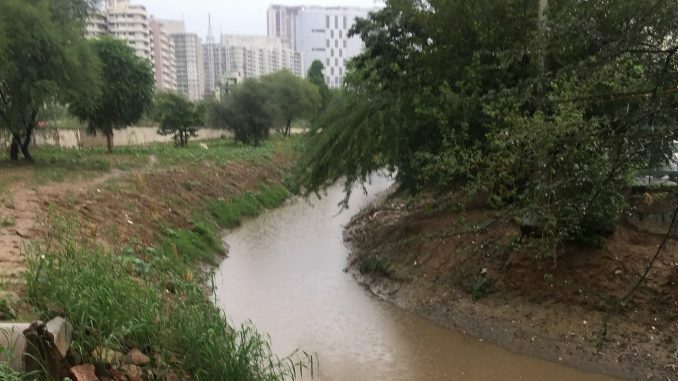 Every time I visited the Wazirabad Bundh site to watch a lush linear forest taking shape in the middle of our city, the dirty storm water drain would bother me no end. 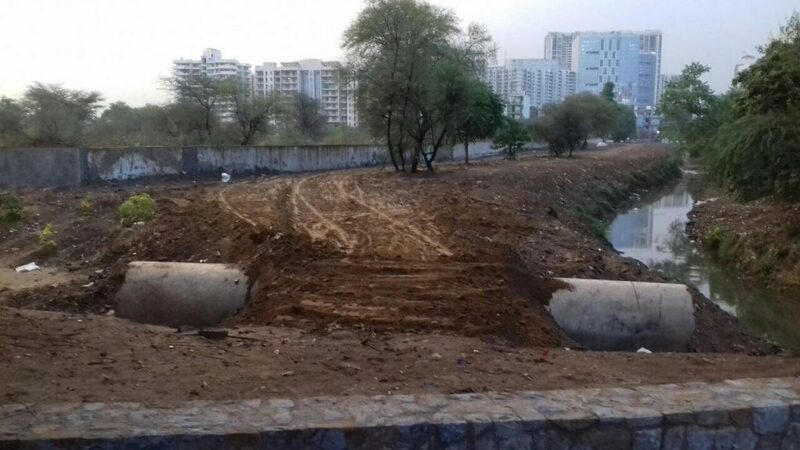 iamgurgaon – a citizens’ movement focused on improving every aspect of life in the Millennium City – had been working on the bundh for a year and a half and it was clear that the work would remain incomplete if this drain full of debris and plastic was not cleared. 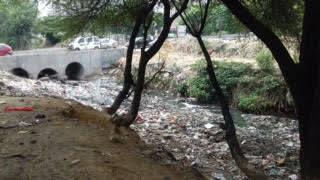 The drain was such an eye sore that I decided to seek permission to clean the 200 metres flowing along the bundh. However, I knew that tackling just 200 metres alone would not suffice and we would need to get to the source of the problem! Any project to develop and clean the city cannot be done without the help of the administration. Opportunity knocked when the Commissioner of the Municipal Corporation of Gurugram (MCG), Uma Shankar came to see the bundh. I asked him whether we could count on his support to attempt cleaning the drain and he immediately sent his team to work with us. Additional Commissioner of MCG, Y S Gupta issued a letter to ensure that everyone understood the importance of this project. There are not many officers who are as accepting of citizens’ efforts and here was one, who trusted us and we would not let him down! Meanwhile the team at iamgurgaon got together to make this cleaning operation happen. Priti, who manages finances, was getting concerned as she knew that I had made up my mind about the work but had not asked for help from anyone. I asked my supervisor Kripal to find out about the cost of hiring a JCB, fork lane etc. to get approximate costs. We approached our existing sponsor AVIS and shared our plans and hopes and asked for their support to make the drain a clean storm water reservoir. Their positive response was all the encouragement we needed. Genpact followed with a generous amount; Colt, Fidelity, Payback, DLF, Hines – all pitched in! Not to be left out, Krishan Kalra and his friends and members of DLF Senior Citizen Council helped us with their personal funds. All these generous contributions just validated my belief that when your intent is right, money just follows! 250 trucks of plastic waste, and still counting! Until the work actually began, I realized that I had no idea about the extent of filth. It was a scary sight to see so much garbage in the middle of the city, hidden by metal sheets. 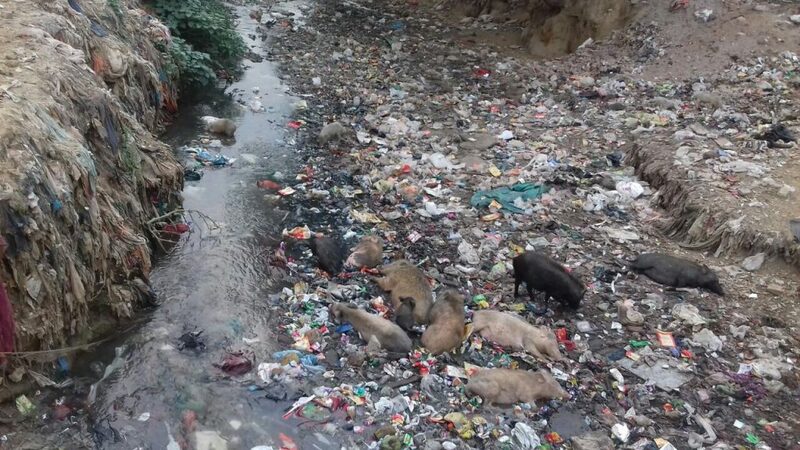 The place was stinking, pipes were all choked up, pigs feasting and every inch of the drain was full of plastic. Our first step was to take out the plastic from the drain and send it to the designated landfill site. We would not have managed but for the support provided by the Sanitation Officer of MCG, Virendra, who was as perplexed as us by the extent of garbage. The more we took out, the more would appear and it seemed an endless cleaning process. On my last count, about 250 trucks of plastic have been taken out and this was not yet over. At one point four JCBs were at work, with two of them only putting the garbage in the dumpers. We would rejoice with excitement as some stretch of the drain would look almost clean but then in the morning, with the flow of water, the plastic from beneath would come up! 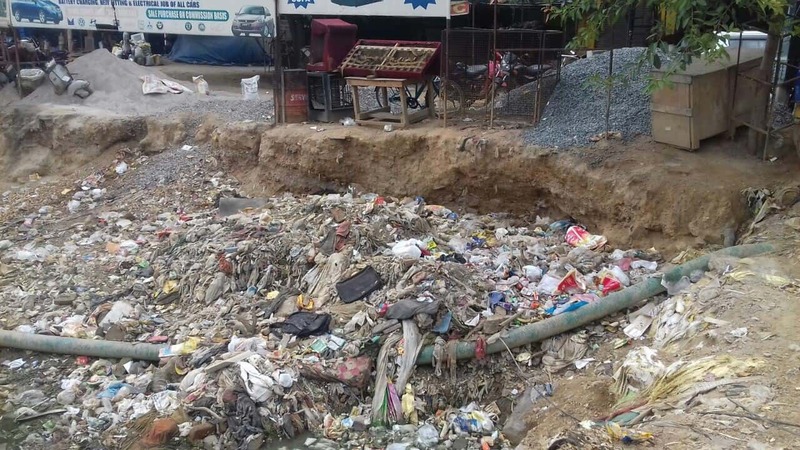 This never-ending garbage was a huge problem and the only solution was to find people who would be ready to go inside the drain to clean it. Next thing I knew was that we were not getting people as Kripal was trying to negotiate a better deal. I told him to go ahead and pay what they wanted, as this was not an easy job. During this drain-cleaning, I interacted with Bunty and his three friends who took so much pride in their work. They were doing a wonderful job of cleaning the drain and always smiling. Each day, we would still find plastic emerging from beneath, but it was slowly getting better. 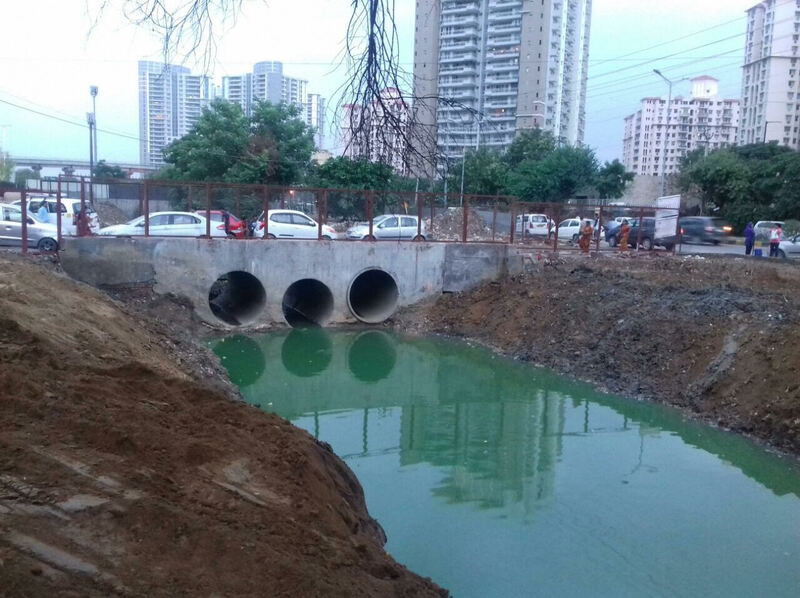 MCG too helped by installing iron barriers in the drain at four points to control the flow of garbage. Cleaning the drain was one thing, but we also needed to ensure that the drain stayed clean. We decided to fence out areas to prevent large scale dumping. Not surprisingly in some places, residents were not happy with removal of the filth and fencing. They were losing their space to park, encroach and dump garbage. 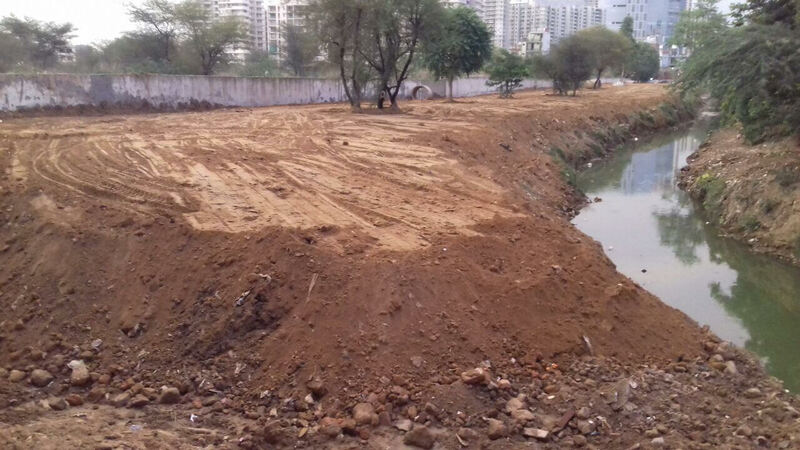 Luckily, MCG had put their best people forward; SDO Rajiv was present at the site to ensure that fencing was not stalled by the people. As clean spaces emerged, the excitement to make the area green grew. 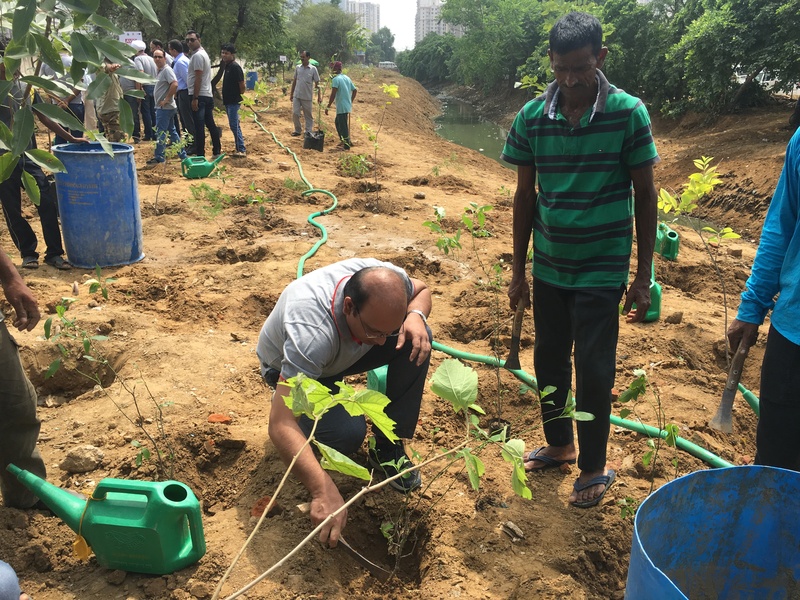 We have a short window of plantation in Gurgaon and we called upon our already busy team from the Biodiversity Park to plant local saplings and foliage. Now the whole area is planted with native greens, and this place will never be the same again! 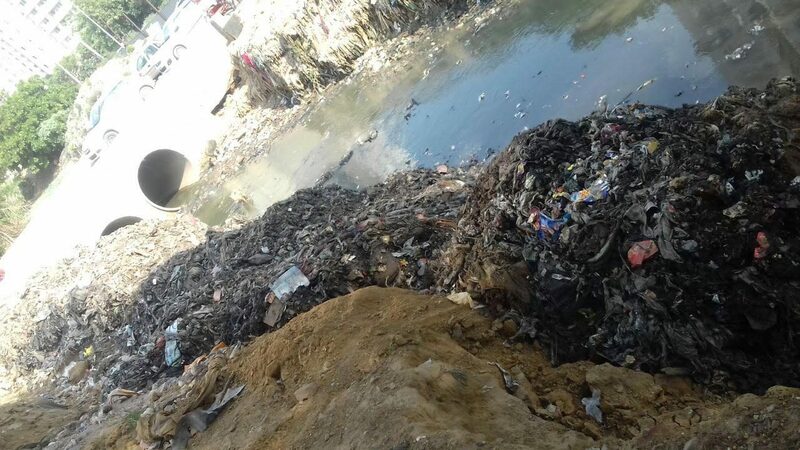 We have some way to go before we can call it a job well done; the garbage to a large extent has been taken out but we still need to close the sewage that is flowing in, and also look at root zone treatment or treating it with enzymes depending on the flow of water. The water that will seep into the ground should be clean and perhaps we can then also use this water for irrigation. These are on the agenda for Phase 2 of the project. Perhaps the biggest takeaway from this entire exercise, and also the most heartening, has been the realisation that it does not necessarily take rare domain expertise to solve many of our everyday civic niggles and issues. Nor is it always a very complicated process. All it takes is the willingness of citizens to take responsibility and a cooperative administration.